Hello and a Quick Note on the Books | Live. Learn. Love. Eat. There is still time to order a cookbook in time for Christmas if you are ordering from Canada or the United States. I also take international orders as well, but those can’t be guaranteed to arrive before Christmastime. I have been taking a break from blogging, but am still taking orders for books. 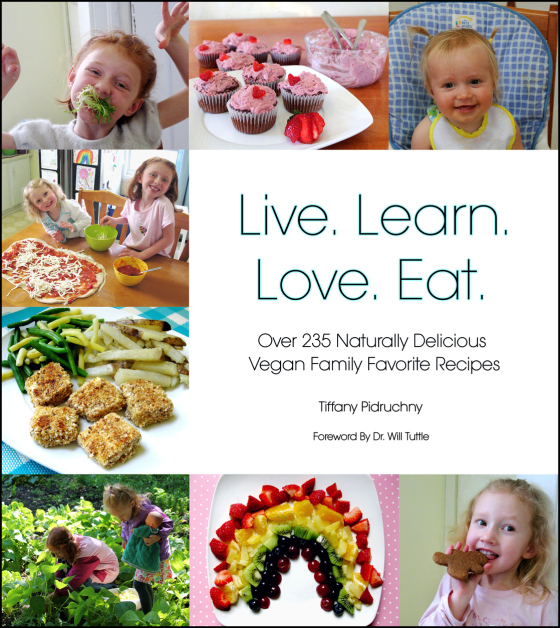 If you are interested in ordering a copy before they are all gone email me at tiffanypidruchny@gmail.com. More details about the book can be found here. My hope is that whoever enjoys the recipes (especially for their family) will get their hands on a copy, as they are limited and I will not be ordering any more once they all sell out.There are also many great recipes in the book that I have saved as special only for the book and have not shared/do not plan on sharing on my blog. As long as the book tab is still displayed on my blog page and the image of the book is still up, copies of the book are still available so don’t hesitate to contact me. Speaking of the gingerbread snack cake, that is one if my favorites! I am always looking for great ways to get more molasses in our diet as it is so full of calcium and other nutrients. The gingerbread snack cake is now a regular snack around here! Enjoy the snow!! 🙂 Glad to hear that Honey! I love molasses too! Such a yummy flavor! Tiffany, is it also possible to order your book from outside of Canada or the US? Have a happy Thanksgiving, Tiffany!